SHIVAASHA is a high profile ICT & ITES Company of India located in the city of Ahmedabad, Gujarat. As a company, we are determined and equipped to provide end-to-end IT services and solutions to the clients in India and abroad. 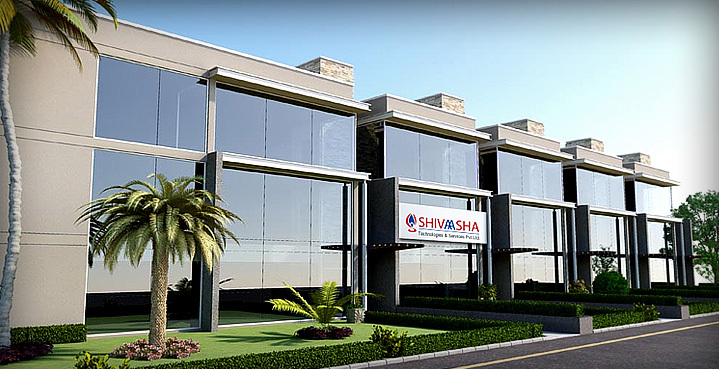 Experienced professionals and latest technologies drive Shivaasha towards fulfilling and exciting performance. We work with our clients to develop an understanding of their business needs and goals. We execute customized plans of technical skills and managerial strategy to accomplish these goals. Our ultimate end is always to establish a long term relationship with the clients and customers. IT has interconnected the world like never before. In this technology driven world, the interaction amongst ICT based devices, systems & people is growing rapidly. Businesses need to meet the demands of their employees & customers for greater access to data & information. Shivaasha knows this potential of Information Technology which also offers huge business opportunities. IT is starting to spread further from the conventional personal computer and limited network spaces. Our in-house techniques and global learning in ICT have given us an edge over others in realizing this reality. We keep working continuously on its enhancement. Shivaasha understands that IT has leveled the playing field for small and big businesses. No matter what their size is; a business can now use IT to explore and create a new world of opportunities and to gain advantages. With that view in mind, we are committed to take IT to the hands of everyone including the common man and small and medium businesses. What is required is to make the best use of the tools which are available and innovate what is not available. The task is to make IT work for you rather than you becoming helpless against technology or being its hostage. This is where Shivaasha’s creativity comes in play. We have a crystal clear objective to deliver quality IT services and Software solutions. We are committed to ensure supreme value to people, entities and enterprises at affordable prices. In order to provide world class IT solutions, we have developed our own in-house methodologies. This helps us provide reliable and cost effective IT solutions that meet present needs as well as future demands of customers. Our commitment to regularly improve and to do better on our products and services sets us apart from the rest. Shivaasha is a complete IT company. It provides full variety of IT solutions and services that encompass all segments of customer requirements. You will certainly enjoy the holistic technical and personal experience that we bring in. We make optimal use of the information given by our customers and put all our expertise to take it to the next level. At the same time, we ensure that we are not intrusive on your information and processes. We believe that reliable and collaborative work models are the best ways. At Shivaasha, innovation is the driving force. A variety of IT professionals keep working for a wide range of innovations in a variety of disciplines and competencies. They range from mobile applications to designing complex computer networks, ICT driven process re-engineering, software, appropriate hardware, database management & design, web development, ERP and CRM solutions and many more. Our Call Center and BPO / KPO operations can add further value and bring in the feedback, finesse and intelligence that provide the cutting edge.